Crystal-clear, streak-free and without smears – this is the way windows have to look like after the cleaning. The right task for Leifheit window wiper Powerslide 28, which enables an efficient window cleaning in wavy lines – like professionals do it. Watching professionals cleaning windows one realizes quickly, that they clean much window area with a few movements. This system uses the Leifheit Powerslide 28. 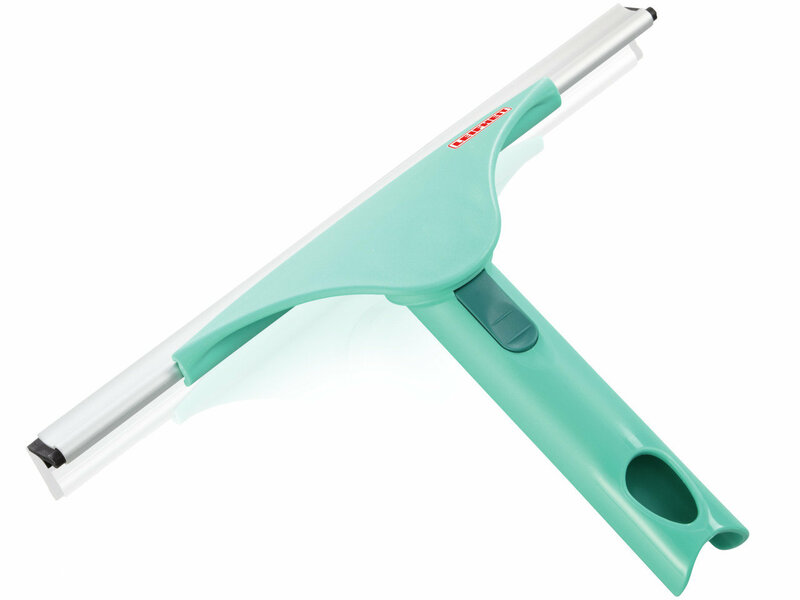 Its movable joint joins every wiping movement and can be locked easily and quickly on the handle, if required. Professional cleanliness causes the high quality rubber lip, which cleans the windows streak-free even with the first squeegee. With its wiping width of 28 cm the Powerslide 28 is excellent suitable for large windows and balcony doors. The handle is suitable for all Leifheit Click-System handles, which are extendable up to 280 cm, depending on the model. This makes the Powerslide 28 usable even for high windows like those of winter gardens.